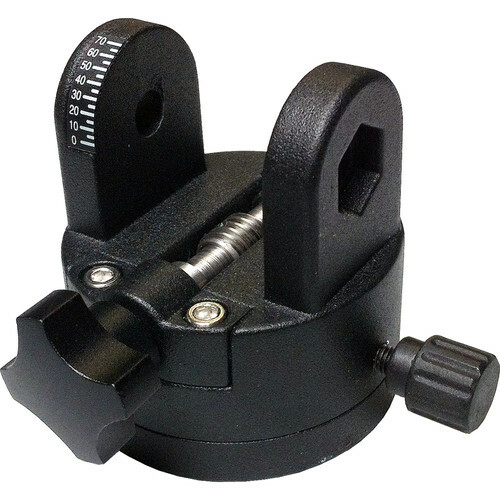 iOptron's black Adjustable AZ Base for SkyTracker attaches to the tripod and accepts the mount to allow for repositioning during polar alignment. It also allows for altitude adjustment using the indicators. It is color-matched to the black SkyTracker mount for a seamless look.